Falling overboard is a life-threatening emergency, not only for the person in question but also for those involved in their rescue. Every step in the rescue process has its own associated hazards and in such a fraught and potentially distressing situation a well-structured rescue plan is essential. Since 1 July 2014, the International Convention for the Safety of Life at Sea (SOLAS) has required ships to have ‘plans and procedures for the recovery of persons from the water' which will minimize the risk to the rescuers as well as to the casualty or casualties. In response to this, VideotelTM, a KVH company, has developed a new programme Recovery of Persons from the Water (Man Overboard Edition 2) which is aimed at ensuring all crew aboard a vessel are properly prepared for such an emergency. Nigel Cleave, Videotel chief executive officer, stresses the importance of planning and practice in the recovery of persons from the water: "As with any incident, the first response is crucial. The actions of every member of the crew are vital to a positive outcome. Best practice has been developed over a number of years using the experiences of many generations of seafarers and the introduction of new rescue equipment - our role is to ensure that expertise is brought into play when needed." 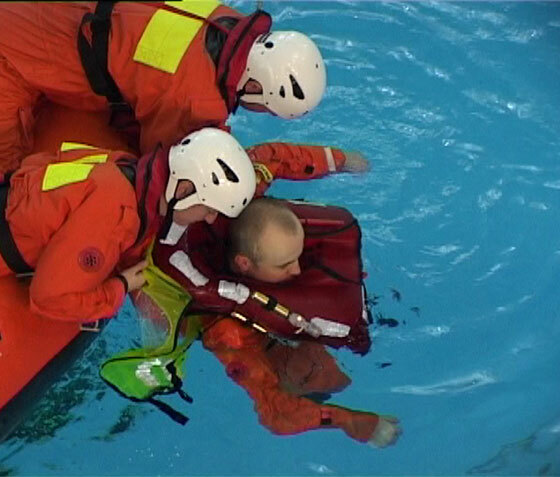 Recovery of Persons from the Water (Man Overboard Edition 2) covers prevention; planning; the first actions to take when a person goes overboard; the responsibilities of the watchkeeper and Master; the processes involved in searching for the casualty; preparing to rescue the casualty; recovering the casualty into the craft; recovering the craft and caring for the casualty. The training video is available through VOD (Videotel On Demand), VOD Online, and e-Learning CBT, and features an accompanying workbook.